Lets look back in history and trace the development of eye-based wearables to understand the potential innovations in the near future. Martin’s Margins Spectacles have gold plated frames with circular horn inserts around lenses. 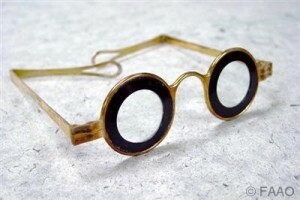 These early glasses were stylish and provided a significant improvement, but there was plenty of room for improvement. This project aims at the further development of a sophisticated computerized Electronic Travel Aid (ETA) for blind and visually impaired individuals. 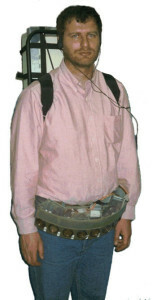 In its ﬁnal prototype version, the device will consist of a belt with a small computer, ultrasonic and other sensors, and support electronics. MIT’s Media Lab has been innovating the vision-based computers for many years. Eye-based wearables follow the head and the user’s point of interest. In 1996, Hunter Hoﬀman and David Patterson co-originated SnowWorld, a new technique of using immersive VR for pain control and began collaborating with Sam Sharar, MD shortly thereafter. Hunter is a VR researcher from the U.W. Human Interface Technology Laboratory with a background in human cognition and attention. Since 1993 he has been exploring ways to increase the illusion of going inside virtual worlds (presence), how VR aﬀects allocation of attentional resources, and therapeutic applications of VR. Cool is the next generation of SnowWorld technology. I don’t know if it includes the original SnowWorld team. Eye glass mounted camera and bone conducting headphone. Uses your ﬁnger as the guiding gesture. An intuitive portable device with a smart camera mounted on the frames of your eyeglasses, OrCam harnesses the power of Artificial Vision to assist the visually impaired. 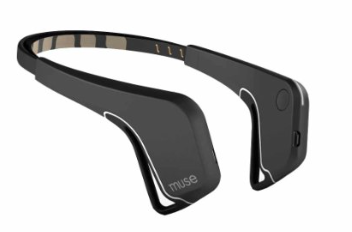 OrCam recognizes text and products, and speaks to you through a bone-conduction earpiece. Google Cardboard used to provide veterans a virtual reality experience of the Veterans Day Parade. Google Cardboard is a low cost virtual reality solution that cradles a mobile phone to provide the immersive experience. Google has also worked with GoPro to develop an immersive camera rig for building movies. There’s an app based on Samsung’s VR device for macular degeneration. Magic Leap is an Augmented Reality startup. Not much is known yet about the technology, but it allows the user to see in deep space, as opposed to the ﬂat screen of virtual reality devices. It’s possible this projects the image into the user’s eye, rather than depend on reﬂective screen. This could bring VR/AR to the low-vision population. At web4all 2015 conference there was a presentation on an application for improving stability with people that have Parkinson’s. The project started with sensors mounted at the feet and hands as a proof of concept. Afterwards, the same functionality was recreated with just a phone’s built-in sensors. There are numerous wearable/motion studies for rehabilitation. 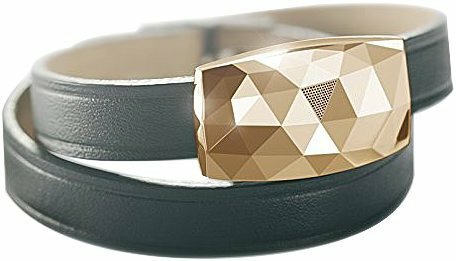 The June bracelet and L’Oreal patch have UV detection sensors and alerts the user via their phone when they’re about to get sunburned and need to reapply sunscreen. The mouth is a great location for tracking body temperature, chemistry, movement, and impact. 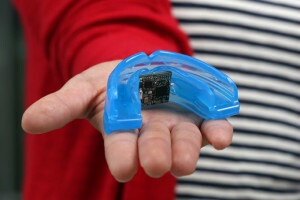 The SMRT Mouth Guard and Smart mouth sensor from UCSD are exploring these wearables. Verily (AKA Google Life Sciences) Continuous monitoring of glucose levels via the eye’s tears. Korean scientists are developing a soft contact lens with embedded diodes. Ear based devices provide many benefits over other wearables. After years of seeing BlueTooth headphones, people don’t even notice an ear-based device. They provide hte same sightline attention as eye-based devices. They also provide much better detection of heart beat and other biometrics. As any medical diagnostician will tell you, the ear is a far better place to access vital signs than then the wrist. Not only can one get accurate heart rate readings from the ear, but core body temperature levels as well. “her” is a ﬁlm by Spike Jonze that explores the virtual love between a man and his wearable computer. At what point does the virtual become real? 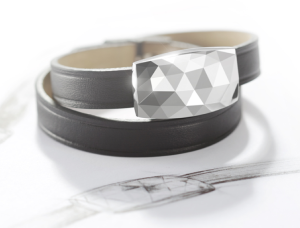 This ﬁlm illustrates the immersive world of wearables. 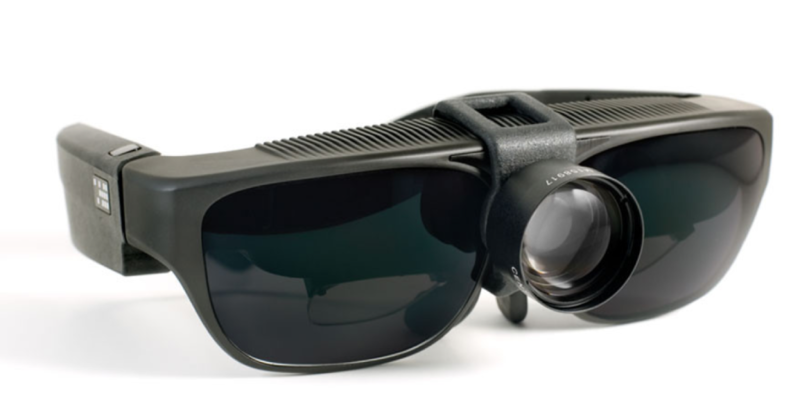 Military Grade Vision NuEyes uses military-grade equipment to provide augmented vision for people with low-vision. Interview with user. Blaid is a wearable design from Toyota that rests on the shoulders and provides audio and haptic feedback to the user to understand landmarks and spacial navigation. By My Eyes is an app that lets blind people request guidance from sighted volunteers and paid assistants to identify objects and scenes. But why should this remain a phone based solution? Take BeMyEyes and connect it to Orcam, NuEyes, Braid, and other wearables for an immersive experience. Haptic Feedback: The Navigate jacket gives vibration feedback to let the user know if they should turn left or right while walking. The Glove1 – integrates haptic feedback with virtual reality goggles. Virtual reality devices expose veterans with PTSD to traumatic battle scenes while in the safety of a clinical environment. Repeated exposure in this controlled environment could help desensitize the person and reduce PTSD symptoms. Oculus Rift and a video production by Viscera allows family members to to experience what it’s like to be schizophrenic and gain empathy. Quell stimulates the nerves for chronic pain relief. 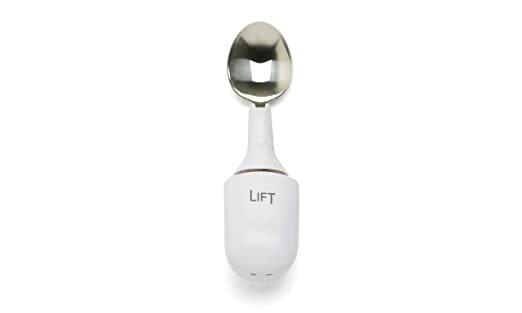 It calibrates itself to the user’s body and condition. or less easily. This activates or deactivates a given region, which engages certain brain states. Google announced Soli, Jacquard, Brillo, and Weave. What will be announced at 2016? Will they be ready? Grinders have already injected rf tags and have begun inserting larger objects below the skin. What happens when they move beyond skin level? Why can’t our bodies become a connected network of devices. Your watch should talk to your ear, ﬁnger, phone, and injectable. Prosthetics are moving beyond replacements and pushing extraordinary physical strengths. 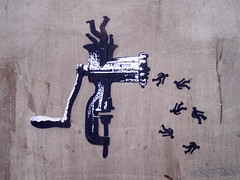 Mind control is becoming dependable. What’s next as we take prosthetics beyond physical disabilities?